The Great Pyramid of King Khufu is one of the most well-known and talked about landmarks around the world. Known as one of the Seven Wonders of the Ancient World, the Great Pyramid has hidden so many secrets for centuries. So many methods have been used to try to decode the pyramid’s secrets, but so many mysteries still remain. This past April, PBS presented a new program about the most recent efforts to uncover and answer some of those mysteries in a new episode of its hit history-based series Secrets of the Dead titled Scanning The Pyramids. The story of those efforts is interesting, though honestly, does pose at least one problem. It will be discussed shortly. The visualizations and footage used to help tell the story do help at least to a point. They will be discussed later. The program’s pacing rounds out its most important elements. That’s especially considering the other elements noted here. Each element is important in its own right to this program. All things considered, the noted elements make Secrets of the Dead: Scanning the Pyramids worth at least one watch. Secrets of the Dead: Scanning The Pyramids is an interesting new addition to the rich history of PBS’ hit history-based series. While not the series’ best offering, it is worth at least one watch. That is due in part to the episode’s story. 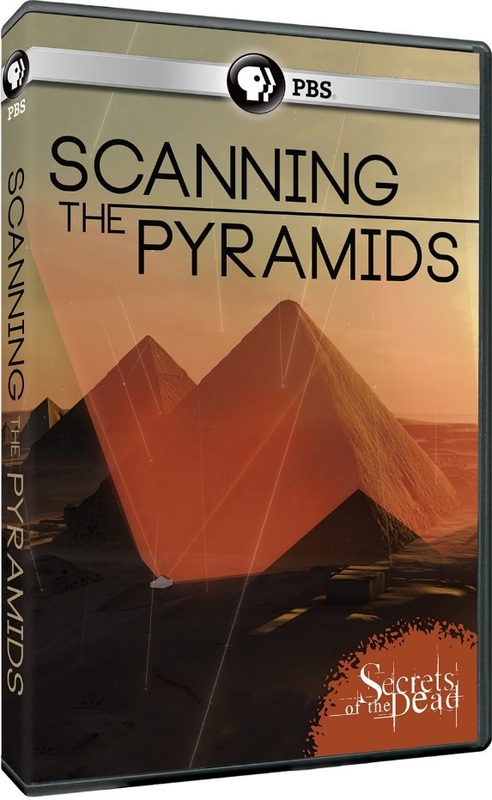 The story starts out focusing on the efforts of a group of researchers to uncover and solve the mysteries of king Khufu’s Great Pyramid, but soon thereafter turns to the methods used to uncover one mystery in question – a single opening on the pyramid that had previously gone unnoticed. Along the way, there’s a bunch of discussion on particle science and how it was used to determine that apparently there was something behind the entrance. The thing is that there was no real answer as to what was behind the entrance. To that end, this episode proves in the long run to just be another focus on the latest efforts to solve another mystery that remains unsolved. What’s more, all the talk of particle physics and how they play into the efforts to figure out what may or may not be behind that entrance might go over most viewers’ heads and instead keep the attention of a very limited audience. Along with all of this in mind, considering that the story focuses on the efforts to solve one mystery of one pyramid, the program’s title is not exactly fitting, either. Rather, it is somewhat misleading. Pyramids probably should have been reduced to the singular Pyramid instead of the plural in hindsight. Keeping all of this in mind, the story at the center of Secrets of the Dead: Scanning the Pyramids proves to be worth at least one watch, but sadly proves in the end to be its own mystery even being worth one watch. While the program’s story is somewhat problematic to its presentation, its footage and visualizations do help – to a point – to keep viewers engaged. The footage and visualizations help keep viewers engaged as much as they do because they tend to help illustrate the importance of the methods. For instance, watching the research of what the particle hits can do to help reveal what might be inside the pyramid shows how far research methods have come and what those methods can reveal. On the same note, seeing the research team actually hard at work inside and outside the pyramid, working to get everything in place shows how important the project is to all involved. There is even 3D technology of sorts used in the process. That visualization alone is sure to leave viewers in awe while the internal and side scans of what is believed to be inside the pyramid will interest even the most novice of Egyptian history buffs. Keeping this in mind, the footage and visualizations do their own important part here to keep audiences watching. They, collectively, are not the only important element that keeps viewers engaged. The program’s pacing puts the final touch on the program. Considering that this episode of Secrets of the Dead runs roughly 55 minutes and the amount of information shared over that course of time, the program’s pacing proves solid from start to end. It would have been so easy for the program to get bogged down in its discussion on solar particles hitting Earth and their impact on the team’s research, but thankfully that didn’t happen here. It would have also been easy to get bogged down in the pyramid’s many mysteries, but even that element was balanced with the program’s other elements, leading to just as much insurance of viewers’ engagement. All things considered, each segment and every bit of information compliments the prior quite well. The result is a program that moves fluidly from one element to another, thus keeping viewers at least partially watching, and more so if they are they program’s key audience. When this is considered alongside the importance of this program’s visualizations and footage, the two elements do just enough to make this program worth at least one watch since the program’s story proves so problematic. Keeping all of this in mind, Secrets of the Dead: Scanning The Pyramids proves in the end to be a program that, while not the series’ best entry, still worth at least one watch. 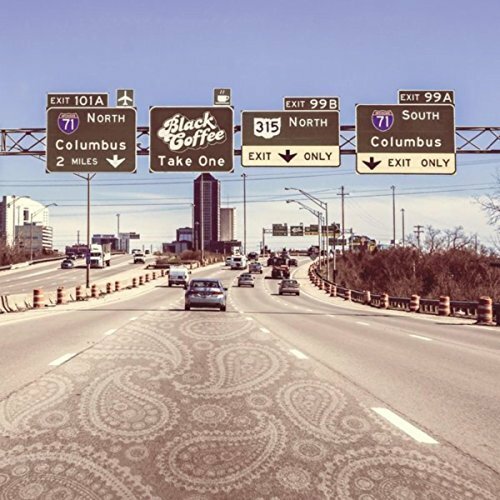 Roughly one year ago, the independent rock and roll outfit Black Coffee (not to be confused with the hip-hop group by the same name) formed in Columbus, Ohio, and in the months since its formation, the band has already released its debut album Take One. Released independently on April 20, 2018, the nine-song, 34-minute record presents this young up-and-coming act as potentially one of the next big names in the rock industry mainstream or otherwise. Considering the hip-hop group Black Coffee has been around far longer than this act, it – Black Coffee the band – might have to change its name to avoid any potential copyright issues related to names. That aside, regardless of names, this album is a good start for the Columbus, Ohio-based band. The album’s new single and opening combo ‘Creamer/I Barely Know Her’ easily supports that statement. It will be discussed shortly. ‘Hurricane,’ which immediately follows that dual composition, supports that statement even more. It will be discussed a little bit later. ‘The Traveler,’ which comes a little more the halfway through the album’s run, also supports that statement and will be discussed later, too. Each of the noted songs plays its own important part in Take One’s overall presentation. When they are joined with the other six songs not directly noted here, the whole of those songs makes Take One a welcome *ahem* dose (yes, that awful pun was fully intended) of rock and roll. Independent rock and roll act Black Coffee’s new full-length studio recording Take One is a healthy and welcome dose of music for any rock and roll purist. That statement is supported in part through the album’s combo single ‘Creamer/I Barely Know Her.’ The first half of the single is a short, 41-second instrumental track that both opens the album and leads into the record’s first full song, ‘I Barely Know Her.’ The manner in which they were composed and sequenced though, makes them more one whole than two separate songs. Combined though, the songs’ collective arrangement easily lends itself to comparisons to work from Black Coffee’s contemporaries in Horisont, Zodiac and other similar acts. That neo-stoner rock sound is sure to appeal to plenty of listeners. The song’s lyrical content will entertain listeners in its own right. Front man Ehab Omron sings here seemingly about a woman, hence the title, ‘I Barely Know Her.’ If the lyrics are any hint, the song’s subject is someone who definitely has strong feelings for the woman, despite not knowing her. This is inferred as Omron sings in his Chris Cornell style delivery, “I’m tired of/Feelin’ like I don’t belong/I know it…your boyfriend’s/Blowing up your phone/I won’t stop/Oh, hell no/Not til I’ve got you/On my phone/You’re hypnotizing me.” This leaves pretty much no doubt as to the song’s subject matter, lyrically speaking. It focuses on a man’s clear fascination with a woman and his desire to know her since he “barely knows her.” If the noted lines aren’t enough to prove that statement, the song’s second verse definitely removes all doubt as Omron sings, “I’m comin’/On stronger/Your trance, it holds me longer/I feel so/Diluted…but he won’t come around, no.” From here he sings about not turning his back on the woman in question and “doing his best” for her. It’s a pretty straight forward song that is made all the more enjoyable when its musical and lyrical sides are joined. The musical arrangement goes a long way toward illustrating the emotion that the song’s subject must have been feeling. To that end, both elements work quite well together and by themselves. The end result of that partnering is a song that shows strongly by itself why Take One is a welcome new dose of rock and roll from Black Coffee. It is just one of the songs that makes this album so strong. ‘Hurricane’ shows in its own way, too, what makes Take One a good start for Black Coffee. ‘Hurricane’ is a fittingly titled song, because it is a raucous musical storm that mixes elements of so many classic rock acts. As raucous as it is, that combination — which includes influences from Van Halen, Poison, Guns ‘N’ Roses and even Motley Crue – is quite well-balanced in those influences. Right from the song’s outset, drummer Tommy McCullough and guitarist Justin Young join to conjure thoughts of Van Halen’s ‘Hot For Teacher.’ The pair wastes no time – interestingly enough – launching into a work that mixes the best elements of the other noted bands to make a musical arrangement that proves to be one of this record’s best points. That’s speaking at least in a musical sense. In regards to its lyrical content, it generates just as much interest. Omron’s rapid fire delivery is anything but easy to decipher here without a lyrics sheet to reference. However, just enough can be understood that it can be at least somewhat inferred that this one is also directed at someone in particular as Omron sings, “Am I more than you can chew/What am I to you?” He sings in the song’s second verse, “Little mother at a hundred degrees/I want you just as bad as you want me/I ain’t talking about no kiss on the cheek.” It’s pretty obvious what’s going on here. This is someone who is head over heels for a woman, and it shows. The whole thing is a fun ride both musically and lyrically that is certain to keep listeners engaged and entertained. Keeping this in mind, it still is not the last of the most notable additions to Take One. ‘The Traveler’ is yet another key addition to the album. ‘The Traveler’ conjures thoughts of Bon Jovi circa 1986 (the year Slippery When Wet was released) thanks to its easy comparison to the band’s hit single ‘Wanted Dead Or Alive.’ That comparison comes as the song moves from the simple pairing of Omron’s vocals with Young’s guitar work to the harder edged sound that includes Omron’s low-end and McCullough’s solid time keeping. That in itself makes for plenty of reason for listeners to hear this song. Its lyrical content builds on that foundation and strengthens it even more. Lyrically, the song comes across as another work about a broken relationship of sorts. This is inferred as Omron sings in the song’s lead verse, “I carry on/All in the eyes can see/Falling, you can reach…When did we go…See you stand/I/See you at last/Don’t you wanna wonder/Don’t you wanna wander inside/But now that you’ve settled down/You hide…Now that you’ve broke down inside.” He goes on to sing in the song’s final verse, “the sun goes down/Over the ocean sky/I see you there/But I wondered why/I hope you find a way/Away from here/But I’ll talk to you/When my mind’s more clear.” It all just comes across as a song about a broken relationship of sorts. If that’s the case, then it is definitely an original way to present that message, and its musical arrangement does just as well to illustrate the emotion of the song. Keeping this in mind, it becomes clear, in hearing the song in whole, why it stands out just as much as the album’s other offerings. When those offerings – including the works discussed here – are joined together, they make the album in whole that healthy, welcome does of rock and roll that is easily one of this year’s top new independent albums. Black Coffee’s new full-length studio recording Take One is a welcome new offering that is easily a work that rock and roll fans across the board will appreciate. That is thanks to songs whose musical arrangements take the best elements of some of rock’s greatest acts and uses them to create their own musical landscape. The songs noted here clearly support that statement. The same can be said of the songs not noted, including ‘Born to Lie,’ (which clearly was influenced musically by AC/DC), ‘Psychedelic Red,’ (which fuses elements of Black Crowes and other similar acts for its sound), ‘Fade,’ (which mixes so many classic rock and roll elements) and the album’s remaining songs. The songs’ lyrical content overall gives listeners just as much reason to remain engaged throughout the record. All things considered, this record proves over the course of its 34-minute run time, to be one of this year’s top new independent albums, and gives plenty of hope for Black Coffee’s future, whether it continues under its current moniker or another name. Take One is available now. More information on Take One is available online now along with all of Black Coffee’s latest news and more at http://www.facebook.com/officialblackcoffee. PBS Distribution is bringing home another Arthur special this summer. Arthur: D.W. and the Beastly Birthday is scheduled to be released on DVD August 14. Its upcoming home release will come almost a year after it originally premiered on PBS — August 2, 2017. The half-hour special takes a page from the beloved book Where The Wild Things Are with a bit of an updated take on that story. In the case of this story, D.W. “runs away” to the island of Ukubonga when her 5th birthday doesn’t go exactly as she planned. of course, she doesn’t actually run away. Meanwhile, Arthur learns his own important lesson when he skips D.W.’s birthday to go to the planetarium with his friends instead. 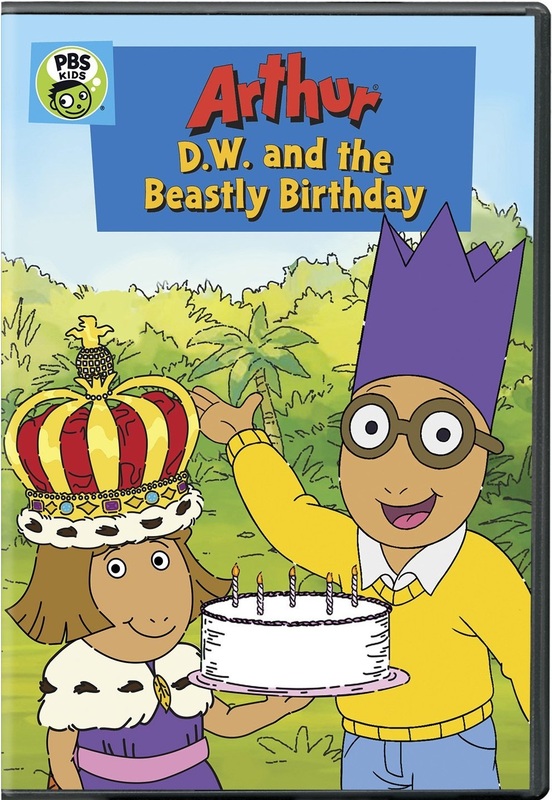 As an added bonus, D.W. and the Beastly Birthday is complimented by the bonus episode ‘Arthur’s Birthday.’ As the title implies, it centers on Arthur’s birthday. There’s just one problem. Muffy Crosswire is having her birthday on the same day as Arthur. She tells everyone that if they don’t come to her party, they won’t be her friend. Both Arthur and Muffy learn some valuable lessons here, too. Thirteen is considered by people the world over for some reason. This is the case even despite the complete lack of any scientific evidence to prove that the number thirteen has any negative paranormal power. 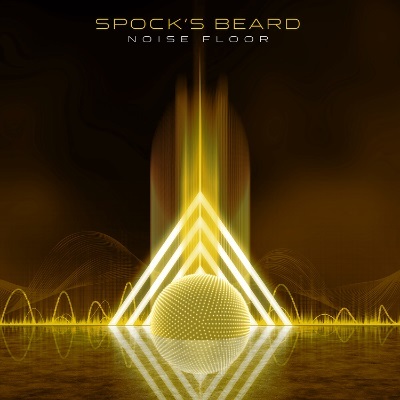 Keeping this in mind, Spock’s Beard’s thirteenth album Noise Floor proves to be a record that doesn’t need any luck to succeed. Released just this past Friday, May 25, the album proves to be its own lucky charm for the band. That is proven early on in the album’s run in ‘What Becomes of Me.’ It will be discussed shortly. The album’s single ‘Somebody’s Home,’ which also comes early in the album’s run, also serves to support that statement. The same can be said of ‘Bulletproof,’ which is included in the record’s second disc. Each song shows in its own way what makes Noise Floor another strong effort from the veteran progressive rock outfit. When they are joined with the rest of the album’s entries, the end result is a work that is certain to impress the band’s longtime fans and prog rock fans in general. Noise Floor, the 13th full-length studio recording from veteran progressive rock band Spock’s Beard, is a record that, simply put, succeeds not on luck, but on the positive of its own merits. This is proven time and again throughout the course of its 12-song, 69-minute double-disc album. ‘What Becomes Of Me’ is just one example of what makes Noise Floor a solid new offering from the band. That is due at least in part to the song’s musical arrangement. Its bass guitar-driven arrangement lends itself (at least in this critic’s ears) to certain arrangements from fellow famed progressive rock band Rush. More specifically, the addition of its guitar line lends the song even more to comparisons with works from Rush’s 1993 album Counterparts. Again, that is in the ears of this critic alone. What’s really interesting here is that a close listen reveals something in the final bars of the song’s “A” section that sounds like it belongs on a James Bond movie’s soundtrack. Random though, yes, but at least this critic noticed that sound. Now having noted all of this, the song’s musical side is only one part of what makes it stand out. Its lyrical content adds to its depth just as much as its musical arrangement. The song’s lyrical theme here comes across (again, to this critic alone) as someone speaking to another person through a letter, telling a story of sorts. That is inferred as front man Ted Leonard sings in the song’s lead verse, “When you get this message/I’m miles away, I’m leaving/But I still have so much to say/So, please keep on reading/’Cause when I slip…commit these bones to soil/A legacy of dust/A ghost I’ll remain/What becomes of me/Another trip around the sun/The righteous race has just begun/We crawl, we walk and then we run, and maybe fly/Yes, I could rule the world/And face the competition/Even if the path was clear/I don’t share that envision/You won’t see me circle back/But it’s not grace I lack/A requiem…to close the book of days…another trip around the sun/The righteous race has just begun…” It’s almost as if the speaker is telling what became of him and what type of person he was. The whole matter of the “trip around the sun” and the “race” having “just begun” comes across as retrospective in nature. That would seem to go in line with the rest of the song’s lyrics, in which the subject seems to sing about his own personal journey. Of course, that could all be wrong, and is only the interpretation of this critic. Either way, the song presents an interesting story that regardless of its theme (and because of it), makes it stand out even more. Going full circle, when it is coupled with the song’s musical arrangement, the joining of the elements is certain to keep listeners fully engaged. Keeping all of this in mind, this song proves to be only one of the album’s most standout entries. ‘Somebody’s Home’ is another standout addition to the album. ‘Somebody’s Home’ stands out in part due to its musical arrangement, which is another piece that – as others have noted – is a little bit heavier than that for which the band has come to be known. That’s at least the case in the choruses. The verses meanwhile present something a little more familiar thanks to the cellos and keyboards. Lyrically, the song is sure to pique listeners’ interest just as much as Leonard sings, “At the gae, but missed the gun/I can’t start, but I’m not done/Fortune never smiled at me/It left me on my own/Someone cracked/The hour glass/Shattered time and scattered dust/Set in stone/You can’t uncast/The die once thrown/And I’m in here/With the blinds all drawn/I can hear you/But I can’t respond/though the lights/Are off/And don’t give up/’Cause somebody’s home.” This comes across a little more clearly than the lyrical theme at the center of ‘What Becomes of Me.’ It comes across as a positive message that while things have been bad, the song’s subject is there and is listening to someone who is going through a rough time. This is especially proven as Leonard sings, “Don’t give up on me/I see more than you think I see.” This is someone who wants another to know he/she is there for that person. It’s an interesting, positive message that, when coupled with the song’s moving, almost 80s rock style musical arrangement, shows even more clearly why this song is another of Noise Floor’s key moments. It is not the last of the record’s key moments, either. ‘Bulletproof’ is yet another key addition to Noise Floor. ‘Bulletproof’ stands out because its arrangement stands distinctly apart from the arrangements in ‘Somebody’s Home,’ ‘What Becomes of Me’ and the rest of the album’s songs. As was noted by John Boegehold in a documentary about the song, his aim was to create a song whose arrangement was distinctly similar to the Motown sounds of old. That sound is clear in the piano-driven arrangement. It also lives up to Leonard’s recent statement that the band is “about evolution, not revolution.” That’s because it shows the band’s growth yet again. The song’s lyrical side shows its own share of growth from the band. That is evident as Leonard sings here about making the most in life despite the negative times. This is inferred as he sings, “I woke up on a sunny day/the rain’s a million miles away/I’m gonna run down the horse…gonna pound on the walls till the ghosts come out/when I come to the roof/Let them take their aim/’Cause I’m bulletproof.” This is all despite the song’s subject having lived “up, but mostly down.” This is an uplifting message that is certain to have a lasting impact on any listener. That is especially the case when this message is coupled with the song’s moving musical arrangement. The partnering of those two elements makes this song stand out just as much as ‘Somebody’s Home’ and ‘What Becomes of Me’ without just rehashing those songs at the same time. To that end, it’s one more way in which Noise Floor proves to be more than just a bunch of *ahem* noise from Spock’s Beard. Rather, it proves to be a record – considering those tracks and the rest of the album’s entries – that is certain to appeal to Spock’s Beard fans across the board as much as it will progressive rock fans in general. 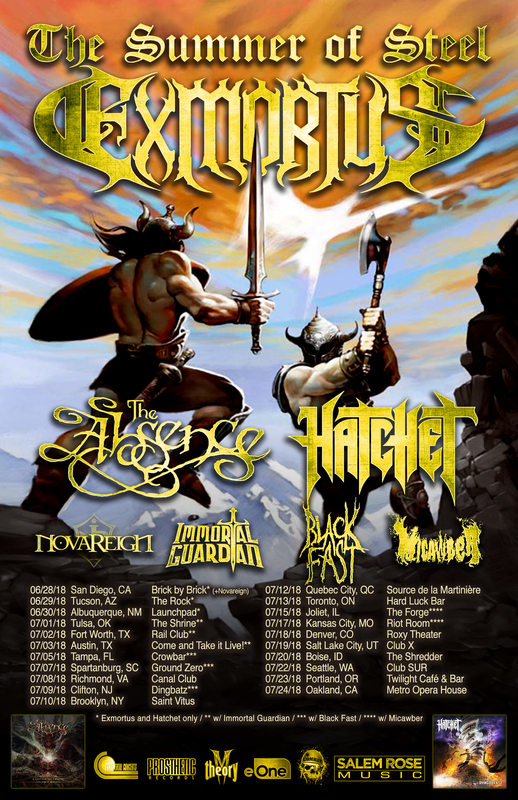 Exmortus has announced its first batch of live dates in support of its new album. The band announced on Tuesday that it will launch “The Summer of Steel Tour” June 28 in its home town of San Diego, California. The nearly month-long tour schedule is currently scheduled to run through July 24 in Oakland, California and includes performances in: Spartanburg, SC; Tulsa, OK; Brooklyn, NY and many other cities. The current schedule is noted below. Front man Jadran “Conan” Gonzalez said in a written statement that the band collectively is looking forward to getting back on the road and releasing its new album in the process. The Sound of Steel is currently scheduled to be released June 8. It will be available on CD, digital and limited vinyl pressings. The vinyl pressings’ information is noted below. Pre-orders are open now. The Sound of Steel‘s track listing is noted below. Two singles have been released so far from The Sound of Steel along with their videos. The videos for ‘Feast of Flesh‘ and ‘Make Haste‘ are streaming online now at Prosthetic Records’ official YouTube channel. Independent hard rock band The Reality of Yourself (T.R.O.Y. for short) debuted the video for its latest single this week. The Springfield, MO-based band unveiled the video for its new single ‘Wicked World’ on Friday. The video illustrates the song’s message about the way in which the media — on both sides of the aisle — spins the news and the effect of that spin from both sides. The band discussed that message in a collective statement about the song. Audiences can hear ‘Wicked World’ and more of T.R.O.Y.’s music live as the band is performing this weekend at the annual Rocklahoma festival. The band also has live dates scheduled with Red Sun Rising, P.O.D., Alien Ant Farm, Buckcherry and Lit through the summer. The band’s current live schedule is noted below. 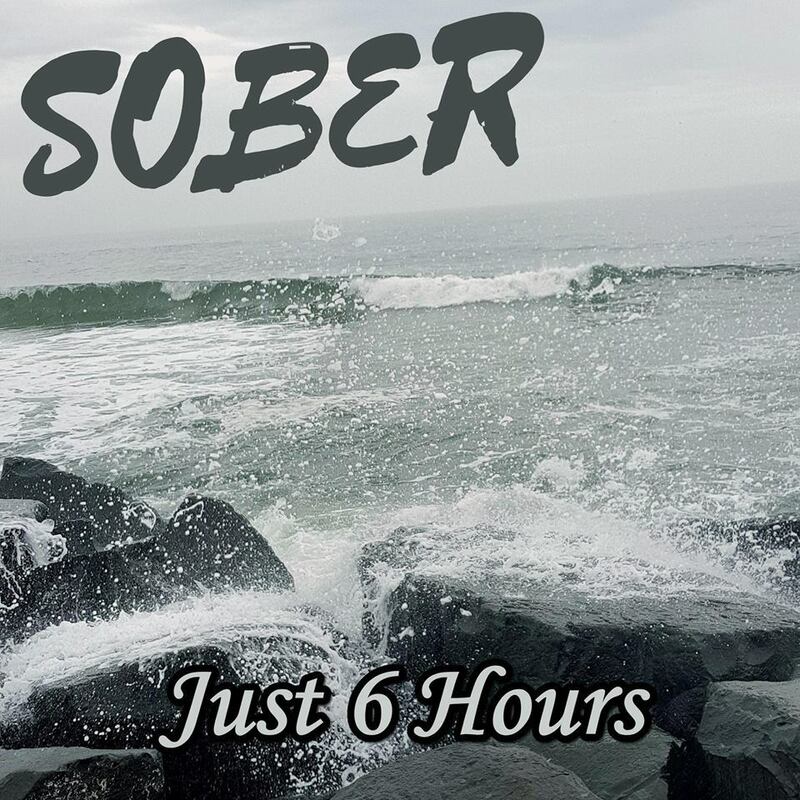 Indie alt-rock band Just 6 Hours has unveiled the lyric video for its latest single. The Asbury Park, New Jersey-based band debuted the lyric video for its latest single ‘One Way Doors‘ on May 6.’ The song is lifted from the band’s latest EP Sober, which is available now via Moto Records. The band said in a collective statement that its new song is centered on the dangers of drug abuse.